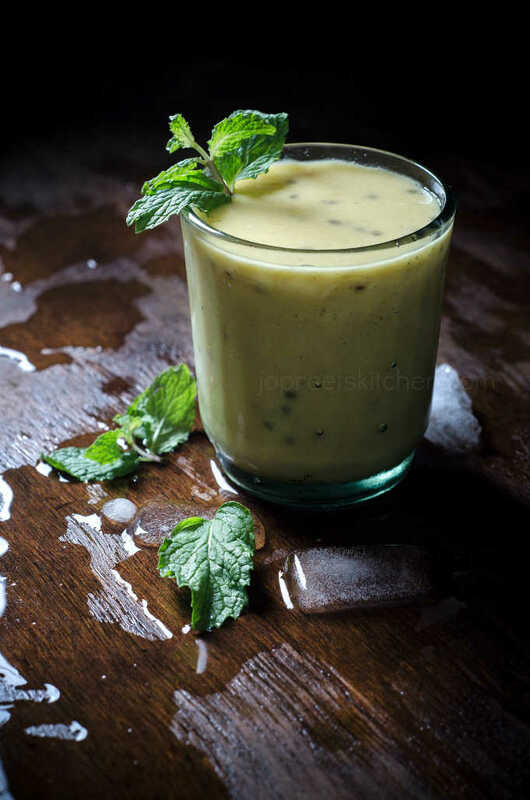 Mango, Coconut Milk & Sabja Seeds Smoothie, very healthy and yummy smoothie prepared with the combination of mango, coconut milk, cardamom, sabja seeds and palm jaggery. Before adding sugar / jaggery / honey, check the sweetness of mango and adjust the quantity accordingly. For vegan version, skip curd / yogurt. 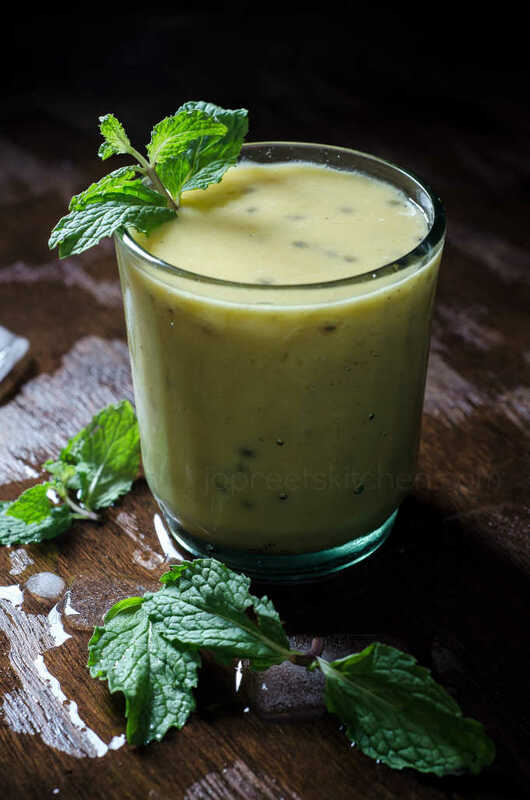 Since, I have used coconut milk, it gives rich, nutty and creamy flavor to the smoothie. You can also replace it with milk / skimmed milk. Soak sabja seeds for half an hour in enough water and then use it. Sabja seeds acts as a body coolant. You can add it here without any doubt. I have used cardamom powder for rich Indian flavor. You can also try adding nuts like pistachio or almonds for more nutritional benefits. I’ve shared a compilation of more than 80 varieties of Summer Special Drinks. Before moving to the recipe, I would like to inform my dear readers that 19 of my Millet / Sirudhaniyam recipes has been published in Aval Kitchen Magazine(Vikatan Group), a popular Tamil Magazine on May 1st 2015. Thank you everyone for your continued support and feedback which keeps me going. 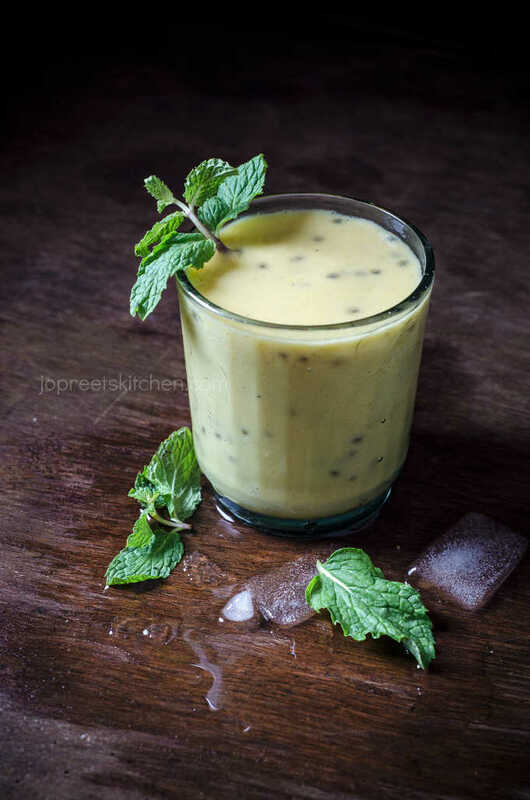 very healthy and yummy smoothie prepared with the combination of mango, coconut milk, cardamom, sabja seeds and palm jaggery. Remove dust from sabja seeds and soak them in enough water for 30 mins. Peel off the skin of mango and cut into small pieces. 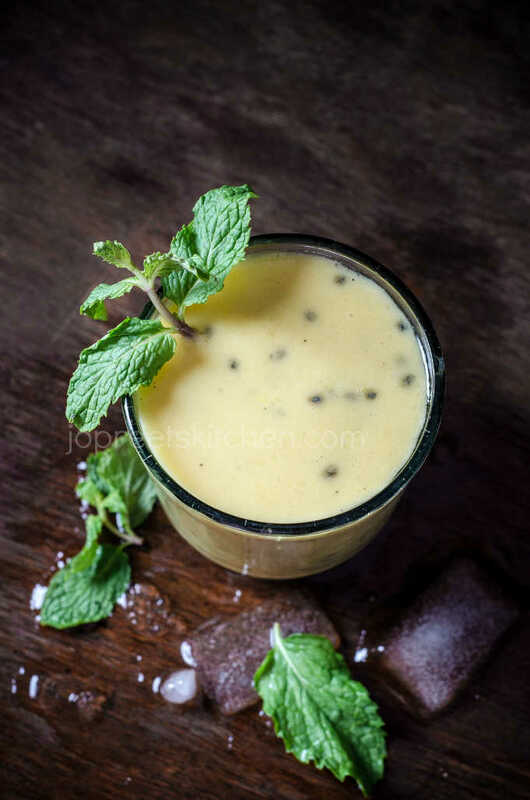 Blend mango pieces, cardamom powder and palm jaggery in a mixer or juicer. Add curd if using and blend it again till smooth. Now, add coconut milk and blend again. Add little water if needed. Transfer to a vessel. Add drained sabja seeds and mix everything well. Now, add chopped mint leaves if needed and keep in refrigerator. Serve chilled. the combination just sounds amazing!